Freshman attending Indiana State University next year who have a high school grade point average of 3.3 or higher (on a 4.0 scale) will be guaranteed a scholarship worth at least $1,000 and may be eligible for even more lucrative awards up to the full cost of tuition. 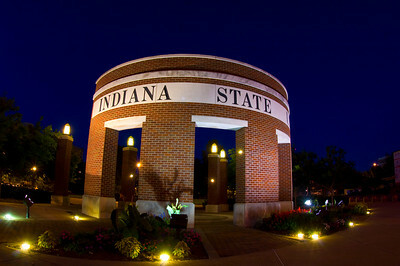 Indiana State has revised its scholarship program for 2010 with a goal of rewarding even more high achieving students. "The decision was made to create these scholarships because students like to be assured of what kind of financial support they can count on," said Sarah Wurtz, associate director of admissions for scholarships. "The guarantee means a lot to students and families." In previous years, students whose high school GPAs were in the 3.3 to 3.7 range were getting lost because they did not qualify for more competitive scholarships and had only the guarantee of a free laptop computer, Wurtz said. Middle class families should consider ISU because of these scholarships, said Kim Donat, director of student financial aid. Students with average GPAs who come from middle income families often feel insecure about financing their education because they don't qualify for financial assistance, he said. This leads students to borrow money, and the result is that 70 percent of students graduate with student loans to repay. One of ISU's peer institutions, Indiana University, offers similar guaranteed scholarships to students. But when comparing the costs of attending both colleges, ISU's offering is of greater value to cost-conscious students, Indiana State officials say. "We think that ISU is a really good fit for students of that caliber," Wurtz said. ISU categorizes the scholarships in terms of Academic Excellence, worth $2,000, which requires a cumulative high school GPA of 3.7 or above, a score of 1,100 or higher on the Scholastic Aptitude Test or a 24 on the ACT. The Academic Distinction Scholarship, worth $1,500, will be awarded to those with a high school GPA of 3.5 to 3.7, a score of at least 1,000 on the SAT or 22 on the ACT. The Academic Merit Scholarship, worth $1,000, does not require any specific test score but requires a cumulative high school GPA of 3.3. All three scholarships are renewable for four years if students are full-time and maintain a 3.0 GPA. Indiana State continues to offer several competitive scholarships that are even more valuable. These include the President's Scholarship, worth $15,000 per year; University Honors Scholarship, valued at $5,000 per year; Networks Scholarship, which provides full tuition and a $3,000 professional development account for selected business majors planning a career in financial services; Gongaware Scholarship, valued at $6,500 per year for selected students majoring in financial services or insurance and risk management; Creative and Performing Arts Award, valued at $2,000 per year. Students must apply for admission and be accepted by Dec. 1. In addition, there are external scholarships available for which students should consider applying, Donat said. â€¨But many times, that doesn't happen. "Once students are here, they don't apply for a lot of scholarships because they don't do the investigative work on their own," Wurtz said. Students should invest the time to find and apply for other scholarships, she said. Prospective students and parents who want more information about scholarships at Indiana State may call 1-800-GO-TO-ISU (1-800-468-6478) or visit the scholarship Web page at http://www.indstate.edu/scholarships. Freshman attending Indiana State University next year who have a high school grade point average of 3.3 or higher (on a 4.0 scale) will be guaranteed a scholarship worth at least $1,000 and may be eligible for even more lucrative awards.